At least 7 people have been rescued from the rubble of a building that crumbled around 2:30pm today shortly after an heavy downpour. 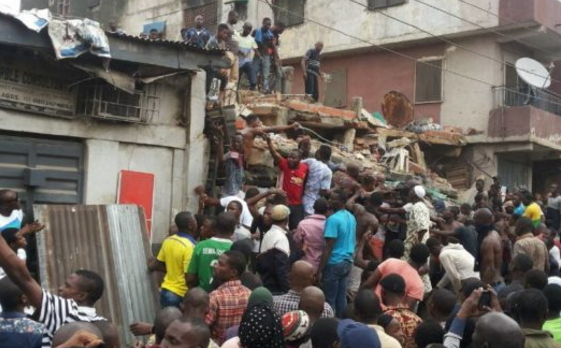 Sadly, a corpse has been recovered from the scene as many are still trapped under the building located in Lagos Island. As at the time of this report, Lagos State Emergency Management Agency excavation is expected to easy the rescue mission. 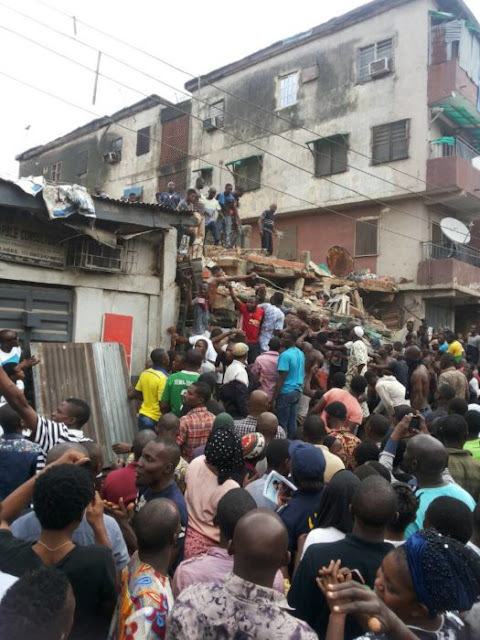 Another collapsed building? And it is only July, the middle of rainy season. God a beg o! RIP to the dead and quick recovery to the injured! Everything in Nigeria is sub……standard, subhumans as in our so called leaders.. God help and divide Nigeria,the name is already a curse. Rip to the dead and may God be the strength to the injured.